Since I was a teenager, I had tried the whole shopping basket of fad diets but none were sustainable - until Nutracheck. After years living in permanent 'yo-yo' cycles of weight loss and gain, Elaine found herself facing last Christmas with very little to wear. She estimated that around just 10% of her wardrobe fitted and she was in the largest clothes size since having her children more than 10 years ago. Every time I tried a diet and lost some weight, I pretty much reverted back to my pre-diet state. I tried every diet fad and plan going and each time I thought that I had found the answer. But nothing worked. I dropped 3 dress sizes after years of yoyo dieting. As the party season approached last December, it was a case of 'same people, same old clothes!' I had learnt to dress to hide my weight gain but I really hadn't got any incentive to buy even more clothes in bigger sizes, so the prospect of dressing up and going out wasn't something to look forward to. 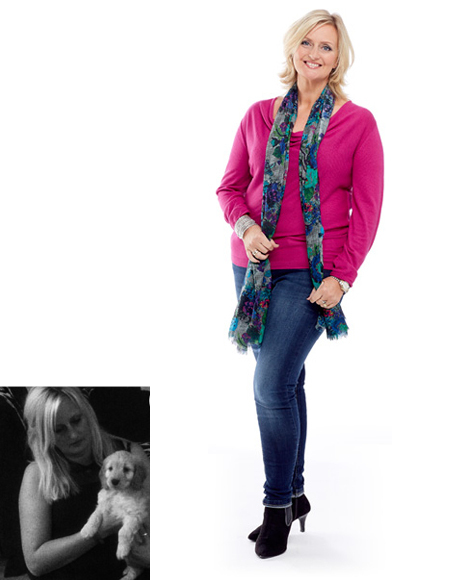 Nine months later, Elaine hasn't looked back; she has dropped 3 dress sizes and is keeping off all the weight she has lost. What's more, she has done this by eating the same foods, but has stuck to her own personal daily calorie target of 1,400 calories. I eat well and I don't feel hungry at all - yet I find myself struggling to get over the 1,200 calorie mark which is incredible! I can honestly say I am surprised how easy it has been. There are no gimmicks, no banned foods, nothing I can't eat - I just make sensible choices within my calorie allowance and I am so much more aware of how many calories I am eating. I am not obsessive about weighing myself all the time either - for me it's more about how my clothes fit than the numbers on the scales because that's a better indication of how I look and feel. I was sceptical at first but this is the first time in 25 years that I have found something that works and has been easy to stick to. I wish I had discovered it years ago.